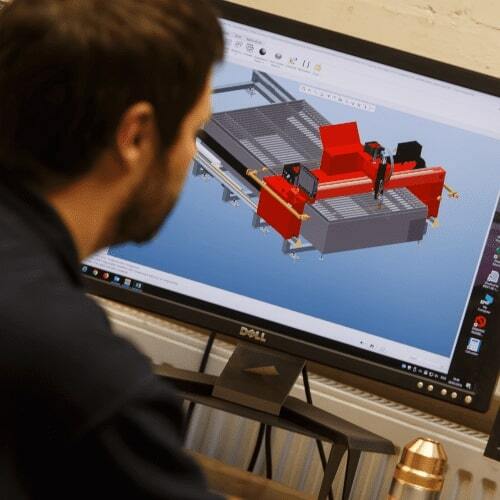 Hypertherm are the acknowledged world leader in plasma cutting systems and Esprit have worked exclusively with them since 1990 to produce the very best CNC plasma cutting machines. Hypertherm systems are the clear choice and most widely used method for the industrial cutting of steel, stainless steel and aluminium plates. This thanks to the ability to produce exceptionally high-quality edges, its unmatched speed & precision, and the relatively low investment and running costs. XPR represents Hypertherm’s most significant advance in mechanised plasma cutting technology ever with unmatched performance and unbeatable operating costs. HyPerformance plasma offers the laser like cut quality with low running costs. LongLife Air & Oxygen plasma cutting systems are a cost effective solution for high productivity applications where HyPerformance quality is not required. Powermax systems offer very low entry cost with excellent air-plasma cut quality for other applications. The XPR Plasma is Hypertherm’s most advanced plasma cutting system to date. With unparalleled cutting quality on mild steel, stainless steel, and aluminium, the XPR uses the full potential of next-generation X-Definition cutting technology to deliver a higher cutting speeds, a dramatic increase in productivity, and reduction in operating costs of up to 50%. Say goodbye to the costs associated with secondary operations thanks to the superior quality and uniformity of the HyPerformance plasma cutting system. By utilizing the power of technologies such as HyDefinition, LongLife, and True Hole, the powerful HyPerformance HPRXD system cuts both thin & thick steel alike, delivering performance, productivity, and profitability. Working with large capacities and supporting intensive use, Hypertherm LongLife Air and Oxygen plasma cutting systems are ideal for production environments cutting mild steel, stainless steel, and aluminium. Designed to have a significantly longer life and significantly lower operational costs, these high-performance systems are the ideal solution for high-output environments. Hypertherm Powermax Air Plasma cutting systems offer fast cutting speeds and great cut quality at an attractive price, Powermax Air Plasma systems produce parts that rarely require secondary operations. Versatile and robust, these professional plasma systems have been specifically designed to withstand moderately intensive use in all environments. Capable of high speed cutting of thin gauge sheet metal whilst piercing and cutting up to 25mm mild steel (Powermax 125), the versatile Powermax systems cover a wide range of applications. We chose Hypertherm technology for our Esprit machines as it delivers an unmatched cut quality for longer periods of time at half the operating cost. This thanks to a range of patented plasma cutter & consumables breakthroughs, including True Hole, HyDefinition, and LongLife, which together form a unique system that enables powerful precision cutting for superior quality and consistency. Bolt hole quality is delivered automatically without the need for secondary operations. Hypertherm’s Patented True Hole technology for mild steel produces significantly better hole quality than previously possible using plasma and narrows the gap with laser hole quality making the plasma process suitable for many jobs previously cut with laser. 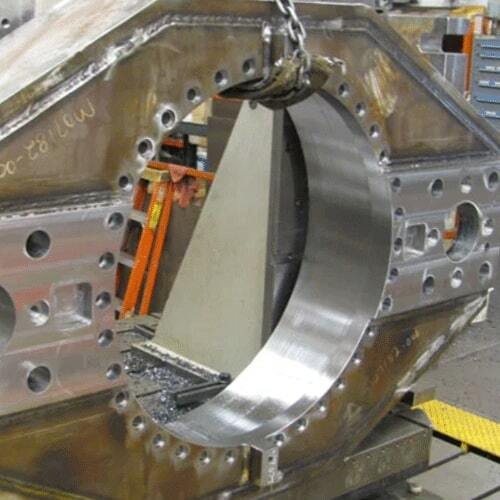 Bolt hole quality with virtually no taper is delivered automatically without operator intervention. True Hole technology is available on all Esprit machines fitted with with Hypertherm XPR and HPR systems. 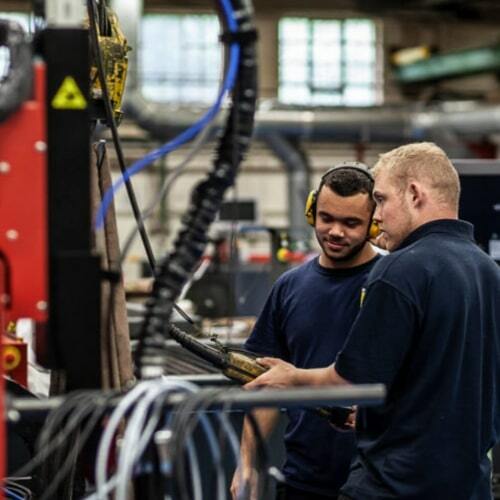 Esprit Automation holds the largest demonstration facility of Hypertherm plasma systems & CNC plasma cutting machines in the UK. Discover the cut quality of Hypertherm’s true hole technology for yourself and take the chance to discuss your application with our engineers and experts. 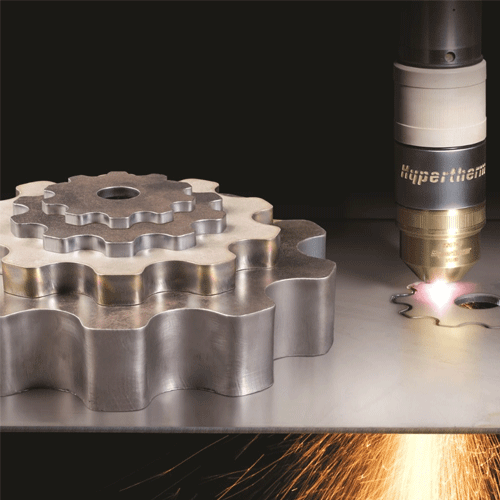 Hypertherm’s Rapid Part technology can increase production capability by up to 100% by reducing cut-to-cut cycle time (the time the arc is off), including the time from the last cut or pierce to the next pierce. Intelligent CAD/CAM & CNC technology ensure torch retract and initial height sensing is eliminated or minimised based on material and part program context, and gas pre-flow occurs simultaneously. This advanced Hypertherm technology optimises consumable life without requiring operator adjustment. The torch height control automatically and continuously samples and adjusts arc voltage to correct for consumable wear. This results in the correct torch height for optimal cut quality over the life of the consumables without requiring operator adjustment. 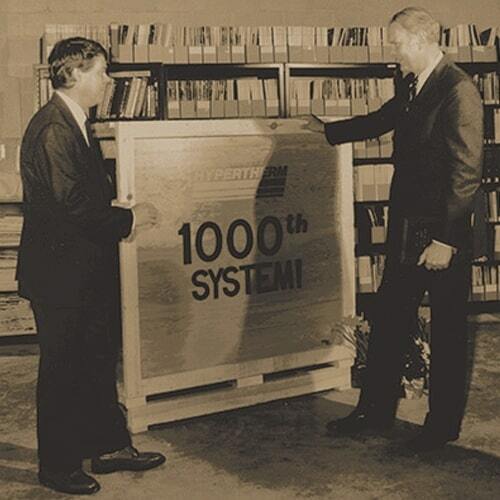 Each of the plasma cutting systems created by Hypertherm has undergone a rigorous development & testing process. After Hypertherm’s expert developers have perfected a system, it undergoes demanding testing procedures that are equivalent to many years of use. During this phase it is subjected to a wide range of temperatures, humidity levels & vibrations. Esprit hold the largest stocks of genuine Hypertherm plasma consumables and spare parts in the UK. Available ex-stock from our Nottingham facility we offer competitive pricing and superb service. We support current and discontinued machines and Hypertherm plasma cutting systems and offer same day dispatch via a range of delivery services for orders received before 2.30pm. All machines in the Esprit range are specified with Hypertherm’s advanced EDGE Connect CNC. It is a dedicated plasma and flame cutting controller and has Hypertherm & Esprit’s extensive cutting knowledge and experience embedded inside. The intuitive 15” colour touch screen HMI with built in wizards is easy to use and delivers outstanding machine performance. For almost 30 years, Esprit Automation and Hypertherm have worked closely together to develop better, more integrated solutions that deliver even higher levels of precision and cut quality. Together, we are considered the global pioneers in CNC cutting innovation & technology. That is why Hypertherm also uses our flagship Lightning HD Machine as the golden standard for plasma cutting demonstrations in their European Center in Rosendaal, the Netherlands. Contact Us For all your Hypertherm plasma system needs. Esprit Automation designs and manufactures state-of-the-art CNC cutting machines for plasma and flame cutting of steel and other metals.